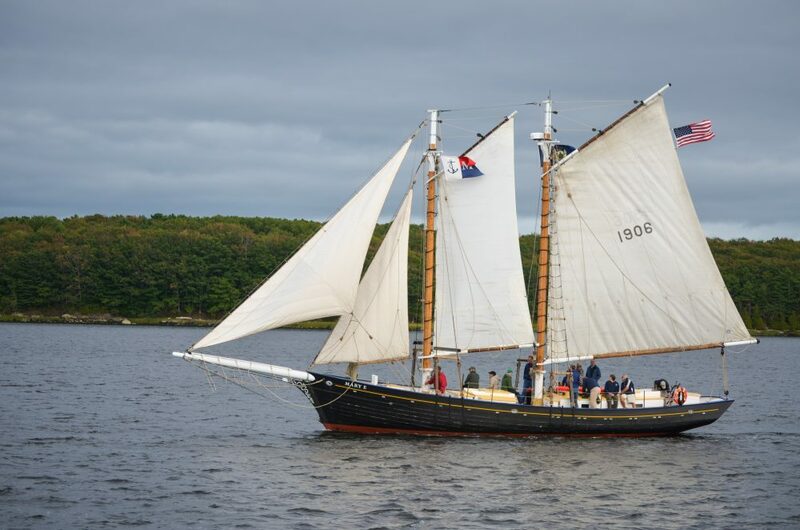 Sail down the Kennebec River aboard the historic 1906 schooner Mary E; the only Kennebec-built schooner still afloat. Help us set and trim sails as our crew share tales from her colorful history, or just sit back and enjoy the scenery. You’ll pass by the site of the Thomas E. Hagan yard where Mary E was built in 1906, see Doubling Point Light and the Kennebec Range Lights, and get a unique view of Navy vessels under construction at Bath Iron Works.